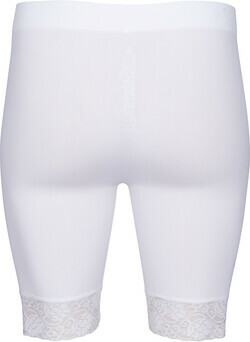 Nice, close-fitting basic shorts leggings from Zizzi. 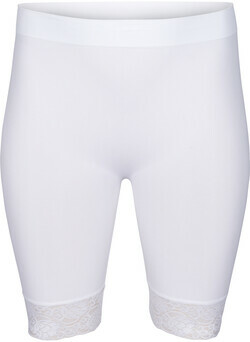 The shorts have really great stretch and a very comfortable fit. Note the pretty lace touch on this style. Wear the shorts under dresses or skirts to get a more comfortable outfit. Inside leg 23 cm.